Picked up a 512K Mac this weekend, came with extended keyboard, mouse, and external FDD, but no software. There was a floppy stuck in the external drive, and I had to open up the case and degunk the lubricant to free up the release mechanism, but unfortunately the disk was not bootable (the label says it's an excel data disk). According to this Businessweek article, Apple donated "the single most important component of the original Macintosh technology" to the Computer History Museum. 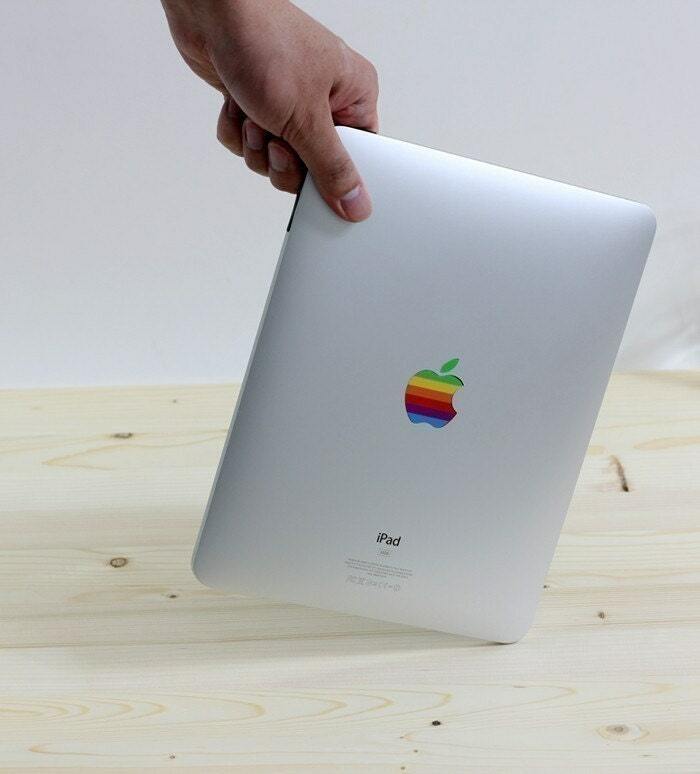 A nifty $3.50 sticker that can give your iPad a 1990's look. Just add Mini vMac and your all set.